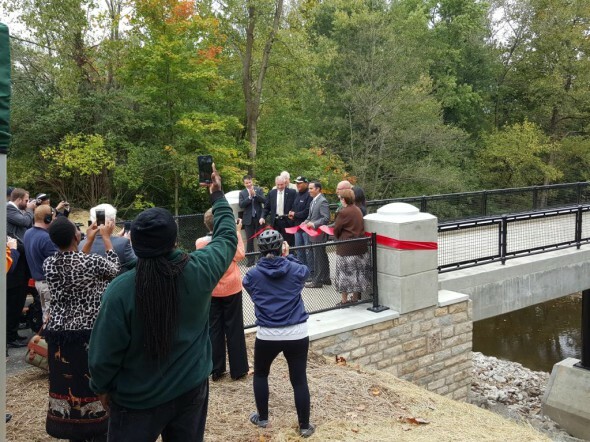 On October 1, 2015 the Ribbon Cutting Ceremony for the Alum Creek Trail Airport Drive project was held at the Sycamore Bottoms Bridge location. This recently finished Righter project is the last 1.25 mile section to complete the 22 mile Alum Creek Bike Trail. 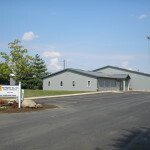 On October 1, 2015 the Ribbon Cutting Ceremony for the Alum Creek Trail Airport Drive project was held at the Sycamore Bottoms Bridge location. This recently finished Righter project is the last 1.25 mile section to complete the 22 mile Alum Creek Bike Trail. The project consisted of asphalt trail, 4 unique bridges, two boardwalks and a 300 foot long by 20 foot high stone-faced retaining wall. We are very proud of this project – it is the 4th contract and section of the bike trail we have completed for the City of Columbus!